Product #5470 | SKU JAB33201 | 0.0 (no ratings yet) Thanks for your rating! Screw-in lens hood to be used only in combination with the original (discontinued) Nikon 77mm circular polariser filter. 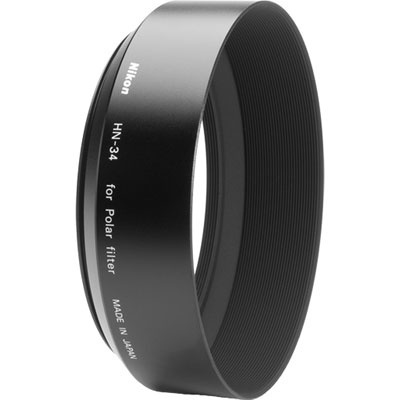 Will not fit on new type "II" circular polarisers. Box Dimensions (LxWxH) 4.252 x 4.173 x 1.417"